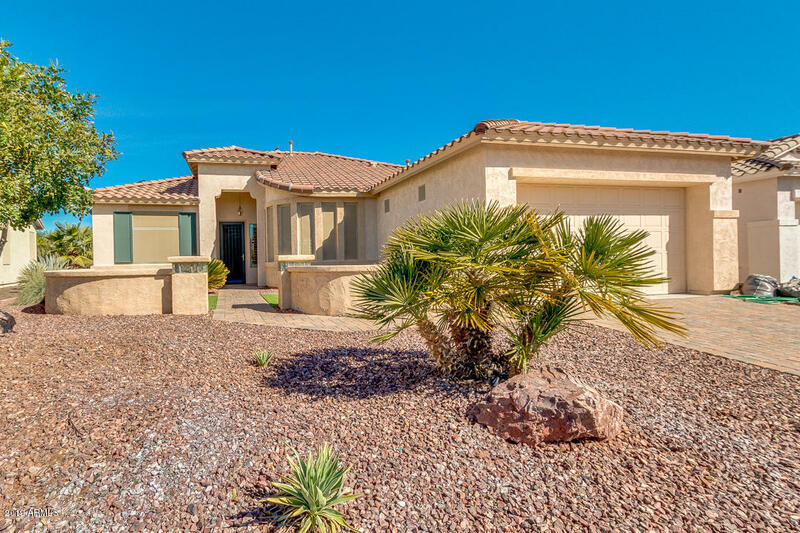 All ARIZONA TRADITIONS PARCEL homes currently listed for sale in Surprise as of 04/20/2019 are shown below. You can change the search criteria at any time by pressing the 'Change Search' button below. "IMMACULATE MOVE-IN READY HOME WITH SOLAR (paid-out lease) awaits you here. Out front, a lovely decorative stub wall and artificial grass adds to the curb appeal. This POPULAR TAPATIO MODEL (2 bedroom + den or use as a 3rd bedroom) features a split floorplan for bedroom privacy. Beautiful tile in the high traffic areas. The eat-in kitchen features an island, granite counters and a breakfast counter that is open to the large great room...wonderful for entertaining or everyday living! The huge Mast"
"Lovely home located on corner lot! 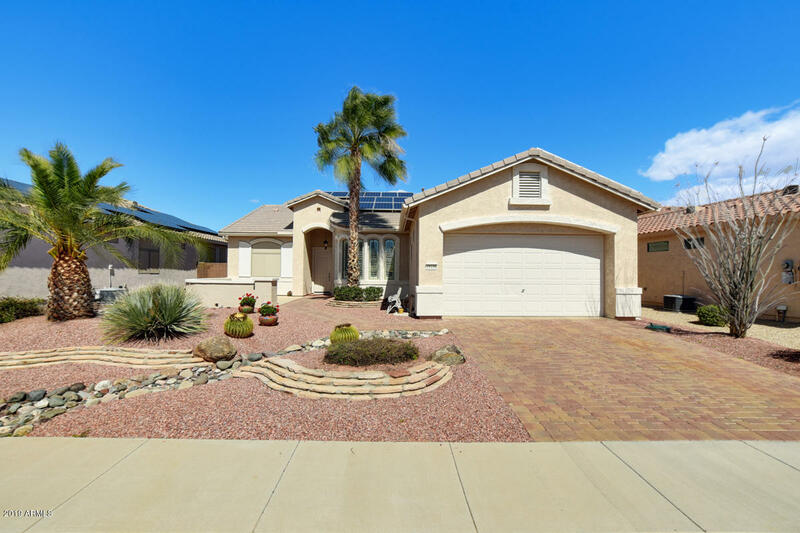 This property comes with an OWNED solar system that is paid in FULL .This home boasts upgrades such as vaulted ceilings, neutral palette and stunning kitchen! This kitchen is complete with an island/bar, light cabinetry and beautiful countertops. Jet black appliances and formal dining add to the features of this home! Plant shelves and open walls are always a plus! 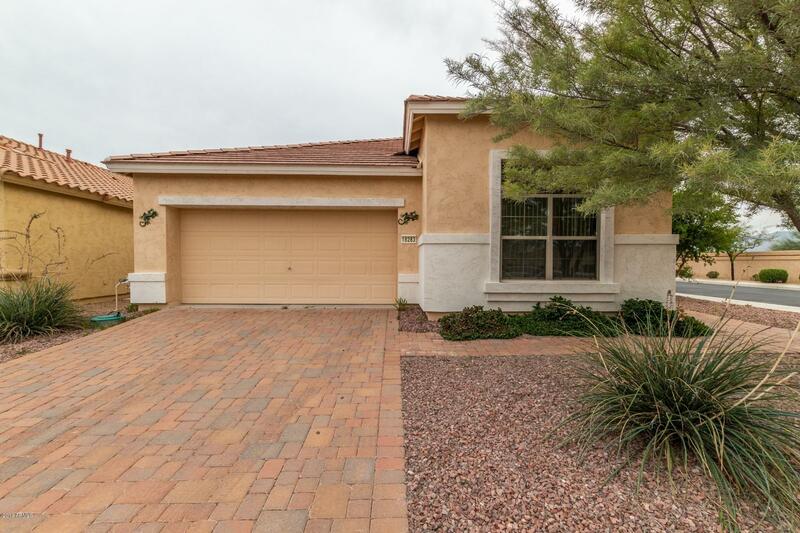 This master hosts double sinks, a nice walk-in shower, a huge walk in closet and exit door ou"
"Welcome home to this beautiful upgraded 2 bdrm, 2 bath Tapitio with spacious welcoming front patio. Great room is open with dining area & French doors leading to the north-facing covered extended patio with built-in BBQ & cool-decking. Home has 10' ceilings throughout with ceiling fans. Upon entering the large eat-in entertainer's kitchen with island you will notice maple staggered & extended cabinets with abundant storage, GE Profile double ovens and gas cooktop, tile backsplash, & 2 year old"